EVEN MR. 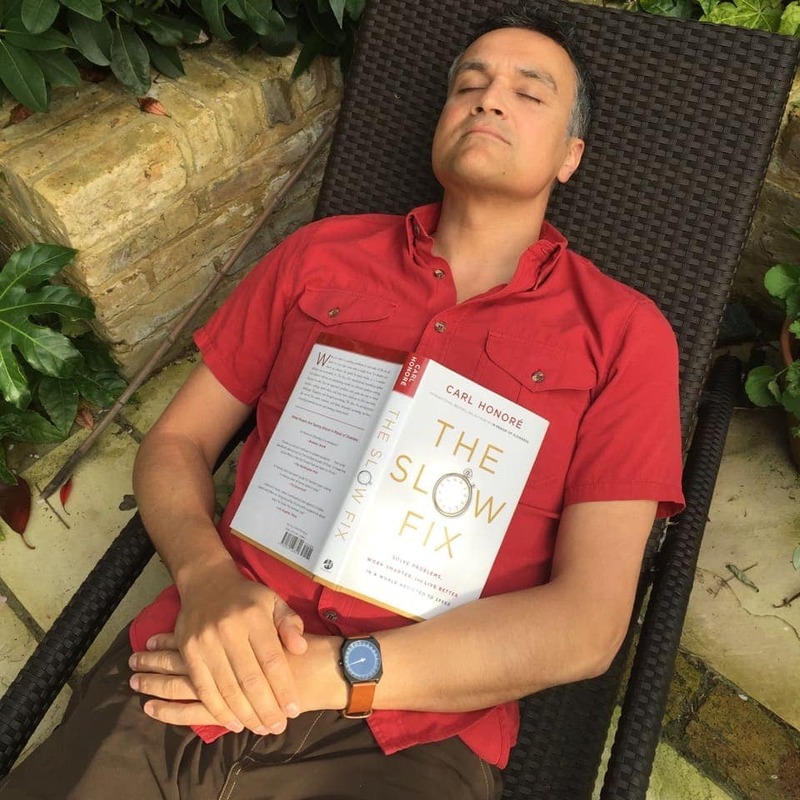 SLOW HIMSELF – CARL HONORÉ – IS A TRUE FAN OF SLOW! Of course slow always takes a very light-hearted approach and we never take us too serious. But despite all the fun, there is a deep story behind the brand and the watch is a symbol that truly helps people to be slow. 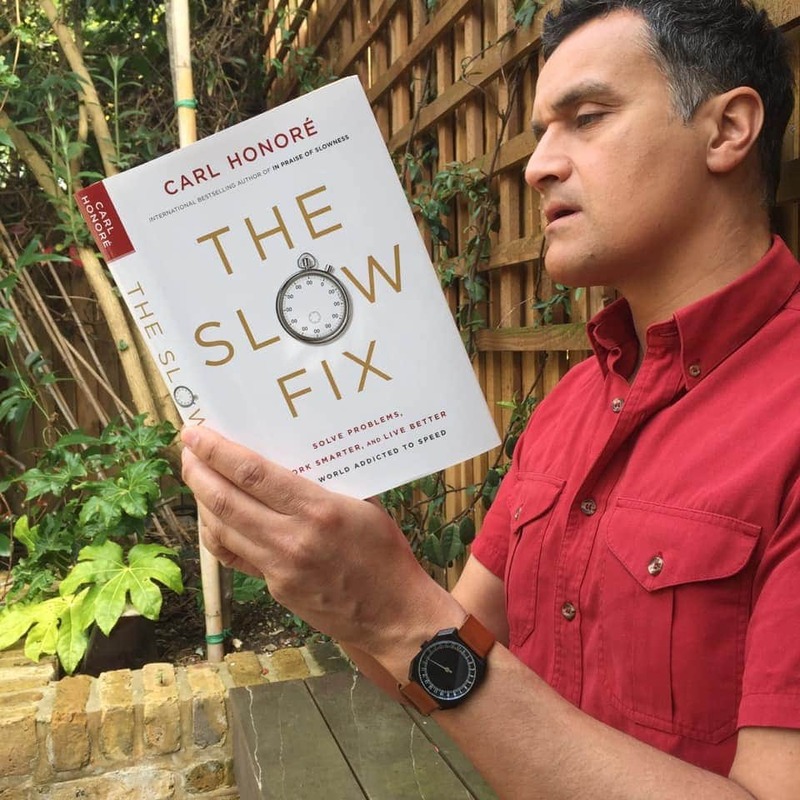 We are super proud that even Carl Honoré – probably the most known slow expert and author of many slow books such as THE SLOW FIX – is a big admirer and of course wearer of slow watches. “People are fed up with stuff that is made, consumed and discarded quickly. Increasingly we yearn for things that are built with love, craftsmanship and artisanal attention to detail. We crave objects with a story behind them and to which we can add our own story over time. The notion that “the medium is the message” also applies to time pieces. In other words, the device we use to tell time can affect our relationship with time itself. Telling time on a cheap, disposable watch, or on a smartphone, reinforces the view that time is a commodity or a resource to be exploited. When we tell time using a beautiful handmade object, we are reminded that time is a precious gift. A gift to be savoured and shared.